Hypersensitivity to electromagnetic fields, or EMF Sensitivity, is a pervasive, daunting, and potentially devastating condition that affects a large number of people, many of whom are on a ‘spiritual path’. While almost everyone is affected to some degree by exposure to man-made and/or geopathic sources of electromagnetic fields, certain bodies are more susceptible. That number is growing as we rapidly increase and expand our technologies and gadgets; as our planet goes through its own fluctuations, natural disasters, and cosmic growing pains; and as people’s personal frequencies are raised and activated for the times ahead. However, it is possible to avoid, prevent, and/or tame the effects so that you are aware of– but are no longer debilitated by—these “difficult” frequencies in our world. People who suffer from EMF sensitivity report a wide variety of symptoms, which can manifest immediately or over a period of time after being exposed to the frequencies emitted by: cell phones, computers, smart meters, power plants, high voltage power lines, phone towers, radar, planes, trains, trucks, cars, GPS, radio, satellite radio or television, medical equipment/diagnostic machines, microwaves, fluorescent lights, dimmer switches, and even earthquakes nearby. Symptoms people feel instantly include: dizziness, extreme fatigue, nausea, paranoia, headaches, sweating, shaking, gastric distress, seizures, pain, redness– just to name a few. If symptoms are delayed in their response, they often include: joint pain, dark circles under the eyes, nerve pain, weakness, chronic illness, gastric issues, neurotransmitter disruption, and more. Why are the symptoms so broad? That’s easy to answer, but also the challenge to finding remedies that work. EMF sensitivity is as diverse as each individual who experiences it. Your own frequency level, along with the conditions of your immune and nervous systems, will dictate which frequencies disturb you and how. To further complicate matters, EMF sensitivity is both the cause of and the result of weakened immune and nervous systems. 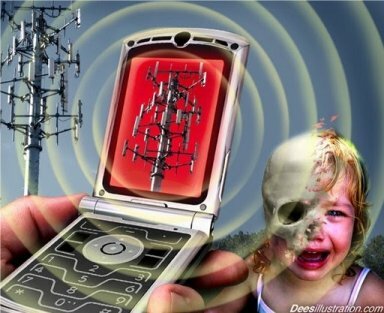 The more compromised those systems are, the more EMF sensitive you become– and the more damage the EMF frequencies continue to do to those very vulnerable nervous and immune functions. As many sufferers will attest, it can become a vicious cycle of discomfort for your mind and body. They are born with an innately higher personal frequency, pick up a larger range of frequencies, and often have enhanced genetic abilities regarding intuition and healing. They are able to receive and perceive a larger array of invisible electromagnetic frequencies, which can be overwhelming to the human form, and often lead to thyroid issues, adrenal fatigue, allergies, EMF, and other sensitivities. They suffer from chronic diseases and/or inflammation that have compromised the body’s defenses. They have been exposed to parasites and/or high levels of mold, chemicals, metals (including dental amalgams), pesticides, artificial sweeteners, or other toxins. They have a nutritional deficiency or food allergies that are preventing the absorption of nutrients needed for their optimal wellbeing. They have experienced intense emotional stress or trauma. They have been exposed to extreme or extended periods of radiation, including air or space travel, and even visitations or contact with other entities. They live in an environment that does not suit their specific biological needs for optimal well-being (climate, light, distance from fault lines, distance from high voltage wires or towers, amount of space from other people, clean water, clean air, etc.). Once you identify the factors that may be contributing to weakened immune and/or nervous system functioning, it’s best to determine which types of frequencies you are exposed to most, and the reactions they seem to cause. For instance, we had a client named Lisa who had always felt perfectly fine near a microwave, cell phone, cat scan, MRI, or computer, but became violently ill immediately when she was near electrical power grids/plants, high voltage lines or towers, trains, planes, elevators, or after spending an hour or more in the front seat of a car. Figuring out which types of EMF situations are your “triggers” will help you to avoid uncomfortable situations–or to adequately prepare for them–so that you can give your entire body the time and energy it needs to heal, strengthen, and rebuild. Get “grounded” with any plant, grass, leaf, or tree you can find, even if that means carrying around a live leaf or two in your pocket, just in case. Depending on the individual, the “grounding” products currently on the market have either some calming effect or a very sickening effect. So, use them with caution! Immerse yourself in a tub, pool, or body of water if possible. If not, filling up a sink with water and soaking your hands can help too. Visualize a protective shield around you, and use your right hand to “draw” its imaginary boundaries around your entire body. Say whatever mantras, affirmations, or prayers make you feel protected and safe from all damage and discomfort. Calm your nervous system by breathing, visualizing comforting locations, and/or listening to music that you enjoy (with frequencies that help balance your current state). If necessary, USE YOUR ENERGY. When the nervous system is overly stimulated, the best defense is to expend the energy. Walk, run, jump, flex and relax muscles, or even tap into a strong emotion and express it as intensely as the situation will permit. Experiment with and make the most of your hidden pressure points. Basically, it’s like acupuncture on-the-go. You will find what works for you. For many, it helps to press the tip of each finger one at a time against the tip of the thumb of the same hand. There are also a number of very effective pressure points on your head, including just over the ear about 1-2 inches back from the temple. You can also try the back of the head, where the skull meets the neck and 1-2 inches above that region as well. Start exploring your body for the specific points that help you. We’ve seen a wide variety of reactions and responses to EMF “protection” devices currently on the market. Our tests indicate that the majority of the pendants, amulets, and shields offer a placebo effect, which can be useful as well. However, we have not rigorously tested each and every product. So, be open-minded. You may find one that really works for you mentally and/or physically. As for nurturing, building, and boosting your system to limit EMF sensitivity, it is a process. It’s important that you clear any emotional, mental, or spiritual issues that are causing stress; develop a nutrition plan that is right for your particular body and any other current ailments; get adequate exercise for your mind and body; and decrease your exposure to the triggers around you. Obviously, those approaches must be customized to you. However, the list below includes some steps that seem to help almost everyone who is prone to EMF sensitivity. Find an EMF detector and compare readings around your home, your office, or other areas to help you understand why you feel the way you do and where. Avoid artificial sweeteners which have been proven to exacerbate EMF sensitivity, seizure activity, cancer cell activity, depression, dementia, and more. Avoid MSG and other artificial flavors, colors, and preservatives. Avoid GMO (Genetically Modified) foods. Avoid fluoride in water, toothpaste, mouthwash, and treatments. Replace dental amalgams and limit seafood intake to 2-3 times per week in order to avoid mercury toxicity and a whole host of health issues. Remove metal from the body if you wear a lot of it on your skin (glasses, jewelry, clips, etc.). Try using reputable water filters and air filters , distilled water, and possibly even noise-filtering headphones . Take 250 mg of Turmeric (in spice, liquid, or pill form) once a day for 3-4 days. Then begin the suggested dose of 500 mg once each day. If you are already at a high does of it or go straight to a high dose of it, your body will likely “kick” it out and not use it effectively. So, we suggest the gradual building of the dose, regardless of current or previous doses. Take 250 mg of Valerian Root once a day for 7 days. Then on day 8 begin the suggested daily dose of 500 mg once each day. Valerian Root will help protect you from stress, allow your adrenals and thyroid to heal– and not make you drowsy in the process. Avoid x-rays, cat scans, and other screenings as much as possible. Of course, limiting exposure to your other EMF triggers is crucial to recovery. Explore energy work, acupuncture, and other holistic modalities to help you better understand your own frequencies, as well as effectively diagnose, balance, and heal your entire mind-body-spirit experience. Pace yourself. “Overdoing it” or introducing too many things at once will have the opposite of your desired effects. In addition, you’ll be unable to tell what worked for you and what didn’t. So, have patience and keep calm. Embrace the notion and be grateful that EMF Sensitivity is an “invitation” from your system to find the things that you need in order to live and thrive more optimally from now on!